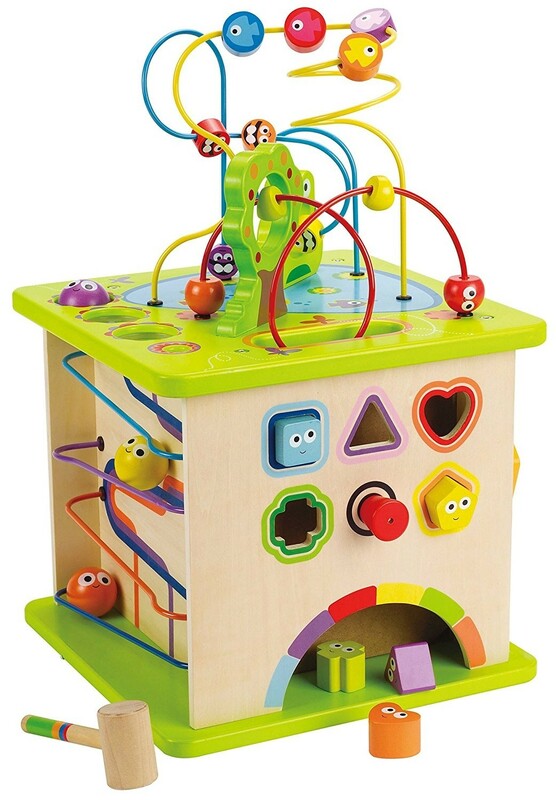 Fight boredom with five sides of fun activites! 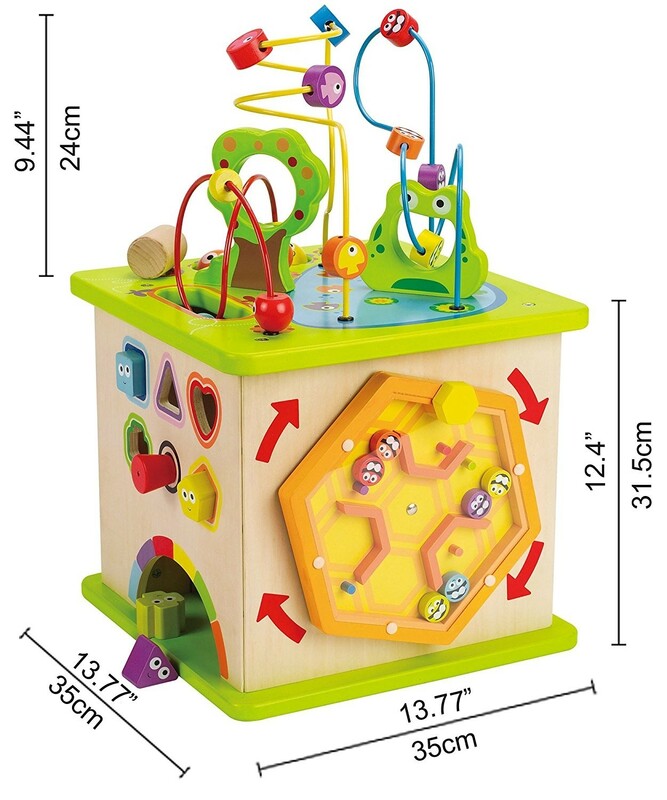 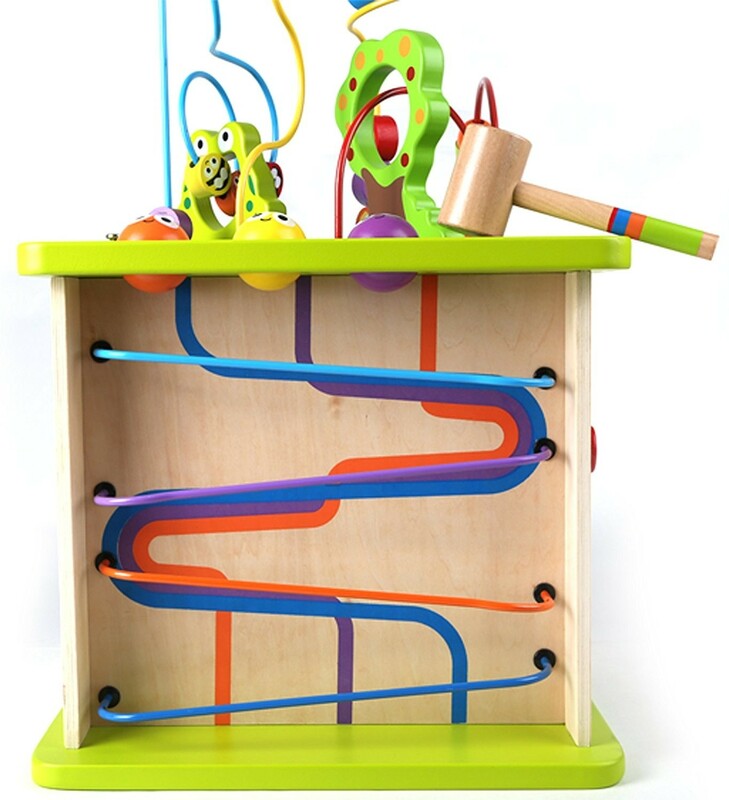 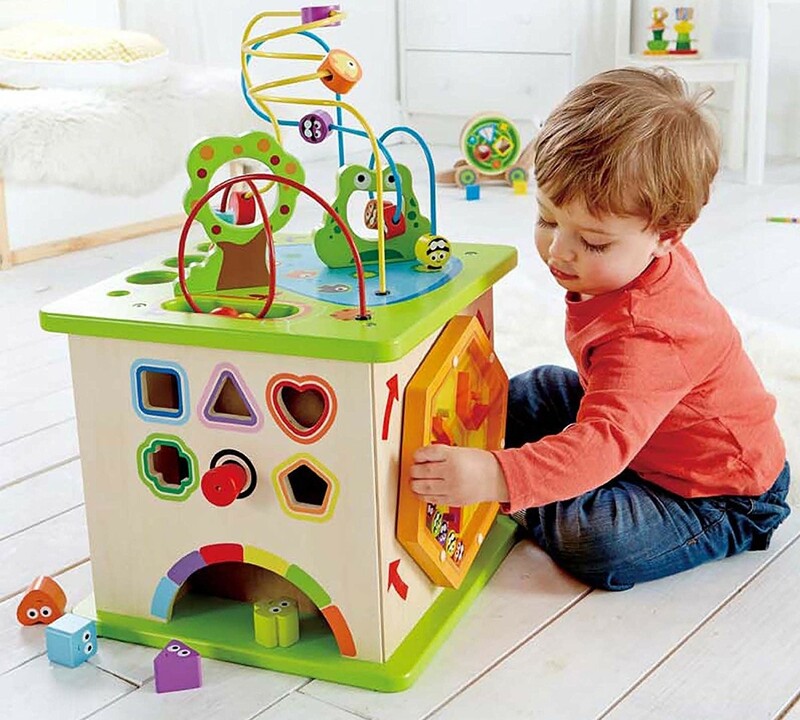 The Country Critters Play Cube from Hape features a shape sorting puzzle, a ball roller coaster, rotating maze and a tracking panel, all topped with a brightly-colored, unique floating wire maze to provide children hours of entertainment. 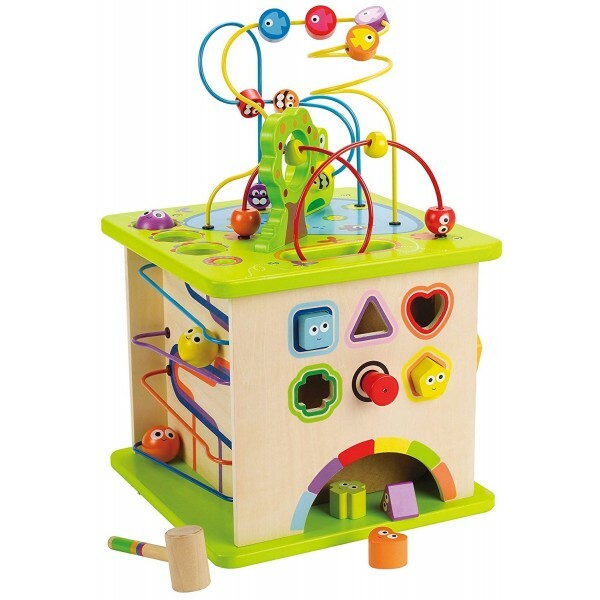 All of the shapes and animals are adorably painted with large, animated eyes that are sure to delight. 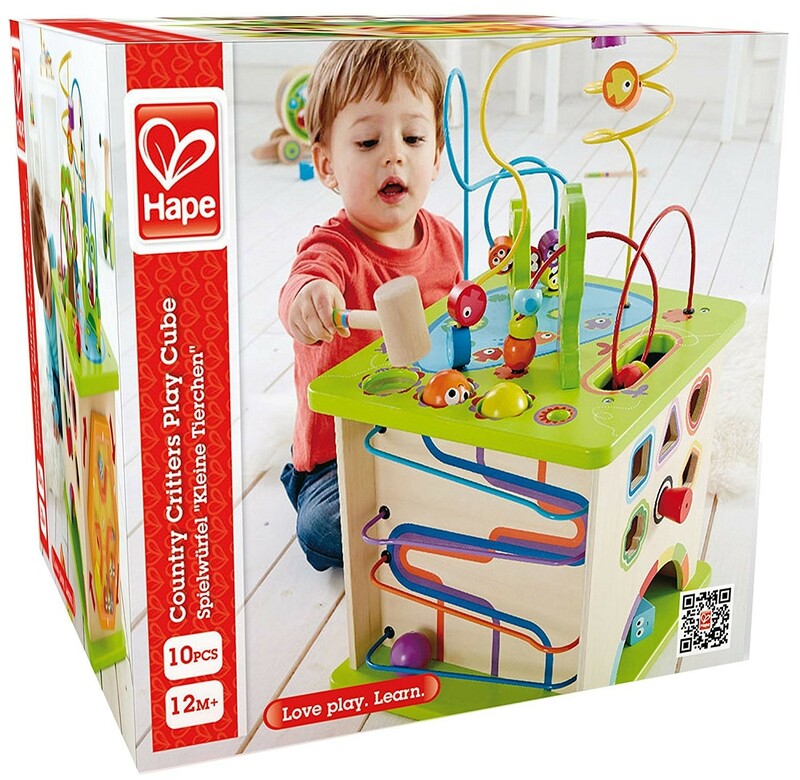 Like all Hape toys, this activity cube is made from sustainably sourced, solid wood and finished with non-toxic, child-safe inks.